HOUSTON (CN) — Around 50 attorneys representing people whose homes or businesses were damaged by flooding from two Houston dams in the aftermath of Hurricane Harvey crowded into a federal courtroom Wednesday to recommend how to organize the litigants into subgroups, while some asked to be named lead counsel for the sprawling litigation. Susan Braden, chief judge of the U.S. Court of Federal Claims in Washington, D.C., flew to Houston to preside over the hearing alongside U.S. District Judge Lee Rosenthal, chief judge of the Southern District of Texas. Seventy-three lawsuits, from more than 700 homeowners and businesses seeking more than $100 million in damages, have been filed in the federal claims court against the Army Corps of Engineers, which manages the Barker and Addicks Reservoirs in west Houston. The Court of Federal Claims has jurisdiction over lawsuits seeking monetary damages against federal agencies and has a six-year statute of limitations on making such claims. Several attorneys at the hearing suggested dividing the litigants into two classes, of upstream and downstream victims of flooding from the dams, and a third group of individual claimants who don’t want to opt in to proposed class actions, which still have to be certified. 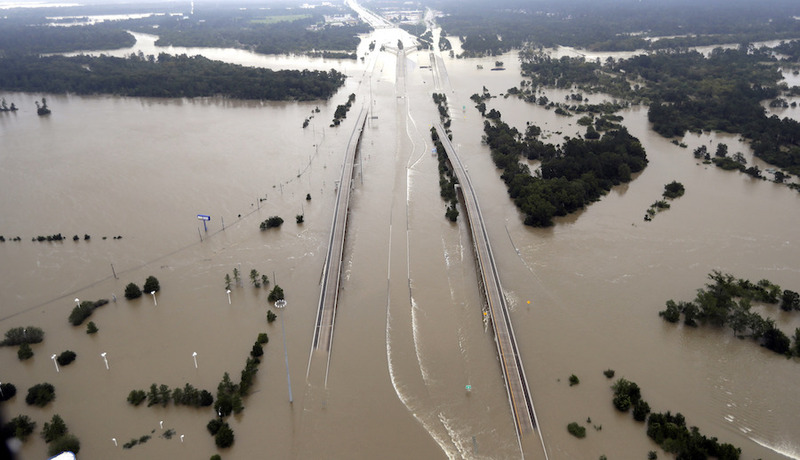 Shortly after Hurricane Harvey dropped a record-breaking 51 inches of rain on Harris County, home to Houston, the Army Corps of Engineers began releasing large amounts of water from the dams, flooding thousands of homes and some businesses that would not otherwise have flooded. Corps officials said they had to drain the dams quickly to reduce the risk of a breach that would have crippled the city, and to make room for rainfall from more storms during hurricane season. The government is also facing claims from people who live upstream of the reservoirs, which straddle Interstate 10, 20 miles upstream of downtown Houston. They say government officials knew that heavy rainfall captured by the dams would flood their homes, but did nothing to stop development in the area or warn them about the risk. The Corps of Engineers built the dams in the 1940s to hold back the city’s main waterway, Buffalo Bayou. Attorney Tom Fulkerson, with Fulkerson Lotz, in Houston told the judges at the Wednesday hearing that he believes no more discovery is needed to move forward with a class certification motion for downstream litigants because their claims against the Corps of Engineers are cut and dried. Government attorney Jacqueline Brown said the United States opposes class certification. She urged Rosenthal and Braden to make litigants file one amended master complaint for upstream and downstream claimants to sort out what they’re alleging, and to appoint one lead counsel to streamline the process. But Larry Dunbar, an attorney and licensed civil engineer, said he disagrees with that approach. “I probably know more about flooding than anybody in the courtroom,” said Dunbar. He said he’s been studying the Barker and Addicks reservoirs for years and knew they would cause catastrophic flooding. “The matter was when,” he said. Chief Judge Braden also came to Houston Federal Court last month for a hearing on the flood claims and vowed to move the litigation forward quickly. At the Wednesday hearing she gave attorneys until Nov. 15 to submit lead counsel proposals. “My hope is to come back on a monthly basis until we get this big bird in the sky,” she said. Two other lawsuits are pending in Harris County Court, in which home and business owners hold the Harris County Flood Control District liable for their damages to structures, because it made the joint decision with the Corps of Engineers on Aug. 28 to begin releasing mass amounts of water from the dams. One of the lawsuits also names the City of Houston as a defendant.